Clarisonic invented sonic skin cleansing in 2004 and has sold over 15 million of its patented devices that help to reveal healthy, younger-looking skin. Clarisonic's mission is to beautifully transform skin and it does so by cleansing skin 6x better than hands alone. Gentle enough for twice-a-day use, Clarisonic devices are the #1 most recommended skin cleansing devices by US dermatologists. The makers of Clarisonic set out to truly change the way we take care of our skin. Three years of research and testing and 45 patents later, Clarisonic soon became a common name among spas and dermatology clinics in the United States. Originally created with skincare professionals in mind, the Clarisonic easily became the number one recommended cleansing tool. Both professionals and dermatologists recommend the Clarisonic over any other face brush. Unlike the typical spinning face brush, the Clarisonic uses patented sonic technology, which works with the skin instead of against it. The device oscillates at a frequency of 300 movements per second. As the inner and outer brushes move back and forth, oil, dirt, and makeup are removed from the pores. The Clarisonic also helps all topical products to absorb more effectively. Clinical tests by the company have shown that the Clarisonic removes six times more dirt, oil, and makeup than cleansing with the hands alone. Many Clarisonic reviews available online rave about how essential these devices are to the modern skincare routine. 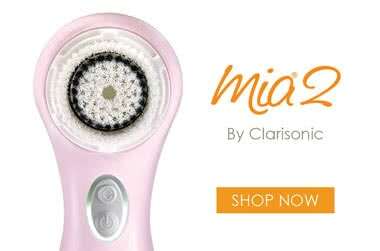 The Clarisonic Mia 2 is currently one of the most talked about beauty tools on the web. Clarisonics—already popular among the everyday woman—have worked their way into the routines of many celebrities as well. Clarisonic promises (and guarantees) to transform your skin. Adore Beauty is an official stockist of Clarisonic. I absolutely love this brush head as I feel more refreshed after a clean. After use all the dead skin has been exfoliated and i'm left with a nice glow. This is great for when I'm feeling like I need a deeper clean. This is a must product for me. My Clarisonic is such a great tool, i have seen great improvement in my skin and complexion since buying. This brush head is reliable, gentle and effective! But to be honest i don't notice any difference between the different brush heads. It's good... But there are most cost effective options out there. I have a love-hate relationship with my Mia Fit. I used a Vanity Planet brush for years, and I can honestly say that there wasn't much of a difference between that cleansing brush and my Mia. It does the job and my skin is definitely cleaner than when I don't use it. I got mine on sale for a 60% off, so I could justify the price. If you are looking for a cleansing device and don't want to spend heaps, look into alternative options. Clarisonic customer service is really awful, so if something does go wrong with your device it is really hard to get any help from them. It took me almost 6 months to receive a replacement device.